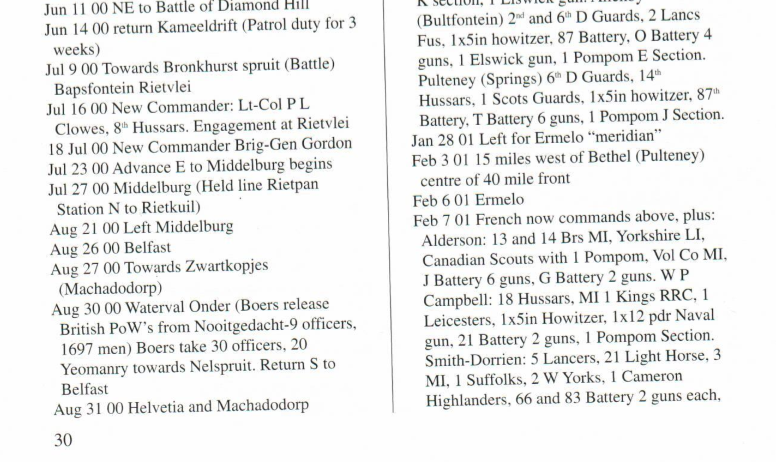 I'm trying to determine which British units operated at Schimmelhoek in the Ermelo District in December and January of 1901? How would you go about working out who was in that area at the time? Would there be some sort of regimental diary available that one could access? If you enter that term into the search bar on the top right of the screen, you will see about a dozen matches, mostly to the Times History account of the war. Hopefully these matches will help. A bit late, but yesterday I had a look in the TH index volume for unit activities in the area you describe. There was a geographical mention of Schimmelhoek in Vol.5; however dealing with an action around October, 1901. There was no reference that I could find in Maurice's Official History. Can you enlighten us as to the reason for your query? With some time in digging, it might be possible to isolate likely units. [2630: 2633-3017] a farm in the South African Republic (Ermelo district; Mpumalanga), 30 km east of Ermelo. Receiving intelligence that Chief-Cmdt L. Botha was at the farm owned by C.J. Bothma, Lt-Col M.F. Rimington's column reached the farm on the morning of 25 October 1901 only to see the Chief-Cmdt and his son riding off to the north. Col Sir H.S. 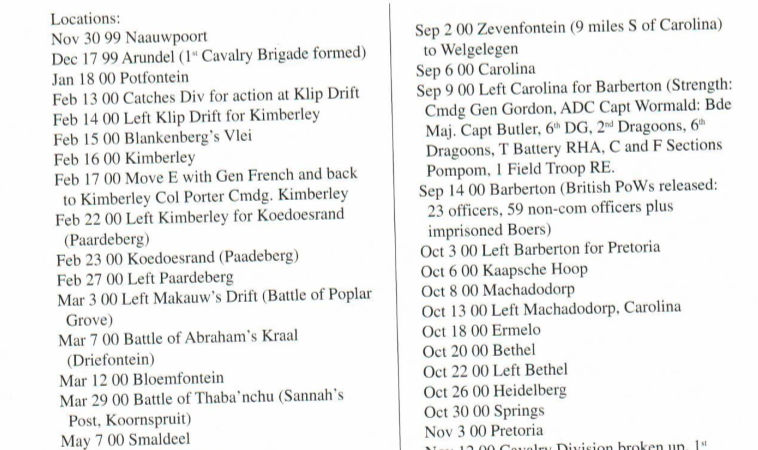 Rawlinson's column was prevented from pursuing him by several actions directed by Asst Cmdt-Gen C. Botha. Times V pp.362-364 (second map facing p.562). 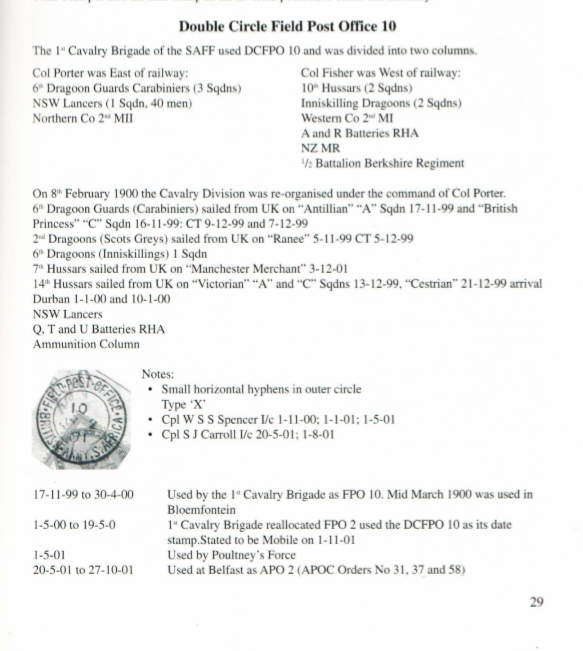 The Times History will you which troops were in Rimington's & Rawlinson's columns at this time.